All dogs are in loving foster homes in the Hudson Valley area. We do not have a physical shelter and require an approved application to meet our pets. Please submit an application so we can put you in touch with the foster family. They have the pet in their home and can give you more information and arrange a meeting. An approved application is valid for a year and does not commit you to adoption. Volunteers who answer email do not have information on our pets and will direct you to put in an application. The first step in the adoption process is to submit an application. Click on the DOG APP tab for our online application. APPROVED applicants can meet and take home dogs from our adoption events - Check events page for details. Seriously have you ever seen anything cuter than this sweet pup! 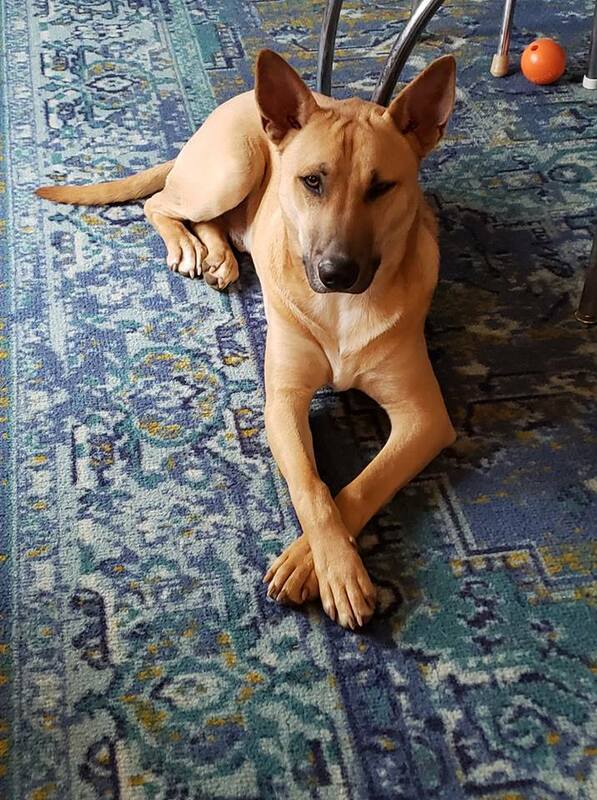 This smart boy is an absolute gem of a dog waiting for his forever family! His foster mom tells us: Good with other dogs..pays no attention to cat...crate trained..sweet little guy..wants to be in your lap...and gives tons of kisses...needs some basic training but wants to please! Plays a great game of fetch too! He's sweet and just darling! Just look at him and his tail immediately starts to wag! He is such a happy boy! Pokey is around 3 years old and weighs 15 lbs. Pokey has been vaccinated, dewormed, microchipped, heart worm tested negative and neutered. We are asking for an adoption donation of $380 to help with the costs involved with caring for our rescue pets. SADIE is a sweet girl that is going to make some family very lucky indeed. Her foster mom tells us she is a big mush and loves to snuggle! She gets on great with her doggie foster sister and is ok with the cat too. She makes herself right at home on the couch too! Sadie was turned into the shelter with Jacque and they look to be related. Both awesome dogs, sweet and friendly. Unfortunately the owner was not able to care for them anymore. Sadie has been vaccinated, dewormed, microchipped, heart worm tested negative and spayed. We are asking for an adoption donation of $380 to help with the costs involved with caring for our rescue pets. ARNIE is such a cutie! Look at that sweet face! Too adorable! Arnie's foster parents say that he follows them everywhere - He is so loving! His favorite pastime is snuggling - and he is totally a champion at that! Arnie gets along with dogs of all sizes and is very relaxed, he is one special guy. Arnie found himself at Animal Control - we don't know how or why. They called us to say he desperately needed help as his mouth was hurting. He was crying with pain and unable to eat. Of course we jumped into action and got Arnie to the vet. He is now doing fine, eating and putting on weight after being spoiled in a loving foster home. He is a low maintenance kind of guy that just wants to shower his new family with affection and receive lots of love in return! Arnie weighs in around 13 lbs and is a senior with a senior adoption donation of $150. Arnie has been vaccinated, dewormed, microchipped, heartworm tested negative, neutered and had a dental. Jacque has been vaccinated, dewormed, microchipped, heart worm tested negative and neutered. We are asking for an adoption donation of $380 to help with the costs involved with caring for our rescue pets. FRODO is a very distinguished gentleman who would love to spend his days right by your side! He is the most sweet and loyal boy you could ever hope to meet! Frodo is looking for a retirement home where he can spend his days cuddled up with his people, or relaxing on a big fluffy blanket (his favorite). 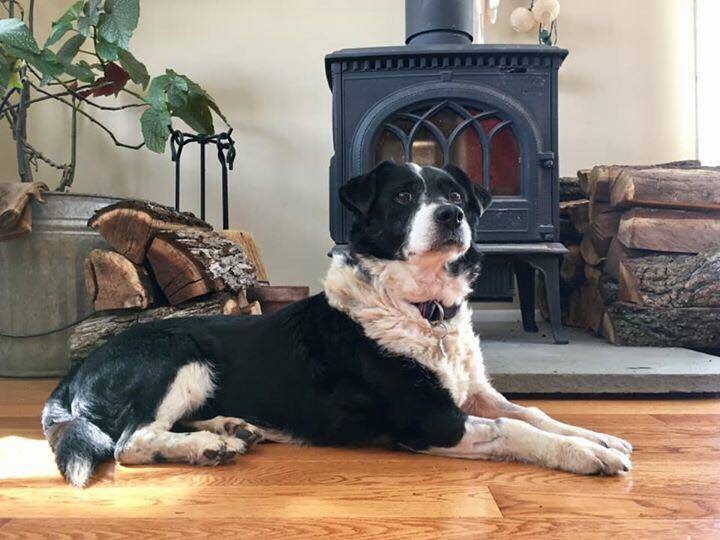 Frodo is a senior guy and does have limited sight and hearing but Frodo's foster parents say he has been nothing less than an exceptional houseguest. He is housetrained and will let you know when he needs to go outside to potty. He loves walking around the yard and exploring all the wonderful smells (under supervision of course) - and he will even let you know when he's ready to come back inside and snuggle. He's such a cute little guy and a great snuggle bug that will be happy to cuddle and watch tv with you! Frodo has been vaccinated, dewormed, microchipped, heart worm tested negative, received a dental and has been neutered. Frodo qualifies for our senior adoption donation of $150. DING is adorable! Cute, cute, cute! We know he will get a lot of interest! Ding came to us from a home where there were way too many dogs to properly take care of unfortunately. Ding probably never left the confines of the apartment. He is now in a loving foster home and the foster family is working on helping to adjust. He will need a patient family that will continue to help him with socialization as he will present as shy on first meeting. He takes comfort from being around other dogs so he absolutely needs a doggie friend to help give him confidence. He loves treats and stands on his hind legs and dances for one! He is working on his housetraining, doesn't know how to walk on a leash yet so a fenced in yard is a must. With lots of love, patience and guidance, Ding will learn that life is good and now have a wonderful new life. Ding is around 2 years old and weighs 15 lbs. Ding has been vaccinated, dewormed, microchipped, heart worm tested negative and neutered. GIGI This bright eyed beauty is looking for her new family! She went walkabout and a kind citizen took her to the pound in hopes her owner would find her, but unfortunately they didn't think to look for her there! Gigi has been enjoying her stay in a foster home and this is what her foster mom tells us: Gigi is extremely loving and affectionate. She's pretty low maintenance, and likes to hang out with her person. She begs for human food and is a bit picky about eating dog food so we think her previous owner may have spoiled her in that respect! She is fostered with other dogs but does have a more dominant personality so doggie introductions will be important. We would prefer older kids for Gigi please. She is not a fan of cats but will ignore them when corrected. She is housetrained and will whine if she needs to go outside to potty. Gigi is around 4 to 5 years old, and weighs 14 lbs. Gigi has been vaccinated, dewormed, microchipped, heart worm tested negative and spayed. We are asking for an adoption donation of $380 to help with the costs associated with caring for our rescue pets. ZORDON - He always had such a worried look on his face but he is far from worried! His foster mom tells us: I call him Gordy! He's a happy boy, who loves to play. Give him a box of toys and he will happily amuse himself taking them out one by one! He is both house and crate trained, and settles nicely in his crate. Zordon is a fun little guy! Loves to play with other doggies of all sizes. The more toys the better for this guy because he loves to play with all of them. He is also great with kids and loves to snuggle. Zordon has been vaccinated, dewormed, microchipped, heart worm tested negative and neutered. MEET BERNICE She is a sweet little beauty (a Chug?) with a soft and gorgeous coat that she loves to have brushed. She is great on the leash and knows how to sit. House trained. Bernice loves squeaky toys and has the cutest little underbite. She is a quiet girl who takes treats very gently. She is such a sweetheart - loves to snuggle and curl up with everyone (people and dogs) and wiggles with her whole body when she is happy or excited! She is very friendly with humans but can be selective with her doggie friends so introductions are very important so she can find her place in the pack. Best in a home without cats. 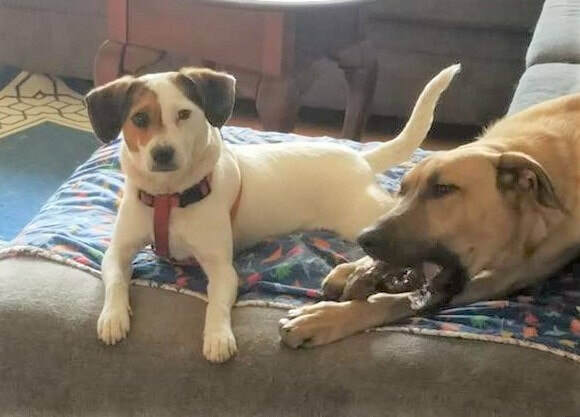 Foster mom says: Bernice gets along fantastically in my house with 5 other dogs, 2 adults, and 2 kids and would do best in a busy home with more than one person and more than one dog (and dogs who are dominant). A rural setting where she is in a fenced yard or walked on a leash in areas with few other dogs too. We just love her to pieces! Bernice is around 4 years old, we think and weighs 20-ish lbs. She has been vaccinated, dewormed, microchipped, heartworm tested negative and spayed. She has received dental care too so her teeth look great. Bernice is on a special diet for food allergies and so her adoption fee will be waived in lieu of taking on her dietary costs. Meet DUDLEY! This boy will steal your heart the minute you meet him! He greets people nicely and when he sat and gave us his paw, we knew we had to invite him into the rescue! He is a happy boy, and so handsome too! Look at that sweet face. Dudley was a lost dog and a kind person brought him to the shelter so his owner could find him. Unfortunately they never came. DUDLEY was let down by his first human, but he hasn’t let that hold him back! He is absolutely FULL of love and joy! His foster mom tells us: This boy is something special. I can see why he was a staff favorite! He's gentle and loving. Playful and silly. Barks to go out for business. Loves to play ball. Sits and shakes paw. Strolls into his crate and sleeps the night. Gets along great with other dogs. What's not to love?!? Dudley is around 18 months old and weighs in the region of 45 lbs. Dudley has been vaccinated, dewormed, microchipped, heart worm tested negative and neutered. PUDDING! This incredibly sweet girl is just darling! So loving and gives the best kisses. She has a cute little half tail too! Her foster mom tells us that Pudding knows sit, takes treats gently, snores adorably, walks great on leash. House and crate trained too! Pudding can present as a tad shy when she meets new people - her new family should know that once she gets to know you, she is very snuggly and loving! Just be patient and give her a few minutes! She is best friends with the dog in her foster home and would make a great doggie companion. She is a little on the chunky side. She likes her food - what can we say! Pudding is around a year old and weighs 50 lbs. Pudding has been vaccinated, dewormed, microchipped, heart worm tested negative and spayed. CHESSIE! Look at that sweet face! Chessie is a senior girl who is mostly low energy but can still be spunky and has lots of love left to give! She bucks like an adorable little bronco when she’s happy. She’s had a rough past and is sensitive about certain parts of her body, like her back legs and lower belly. She will sometimes nip when touched in a way she doesn’t like, so a household with no young kids would be best. And probably no cats. Given her age and a limp from an old injury, she is a very easy dog to care for. She’s happy to take slow short walks or just to lie around and keep you company. Chessie will make a great companion for someone that is looking for a low key, retirement kind of friend - ready to accompany you on walks, errands, or just a ride in the car. Chessie is very pretty with the border collie colorings and soft fur - she does have shortie little legs though which make her even more adorable. Chessie is aged around 8. She qualifies for a senior adoption donation of $250.She weighs close to 30 lbs. Chessie has been vaccinated, dewormed, microchipped, heart worm tested negative, had a dental and spayed. ALEXIS! This sweetie went walkabout and couldn't find her way home! No owner came to look for her so we invited her to be a PPR girl! Alexis is sweet and loves to be held. She is friendly and going to make a great companion for just about any situation. ​Her foster mom says: She enjoys other dogs, likes cats and loves playing with toys. Oh and the lap thing is really important! Alexis is around 6 years old and weighs 13 lbs! Alexis has been vaccinated, dewormed, microchipped, heartworm tested negative and spayed. ELKA! Not really much to say about this little pup other than she is ADORABLE! Precious little girl that came into the shelter as a stray.... Seriously who lets a 6 month old, 6 lb puppy out of their sight! Just no words. We will find her a wonderful new family that will spoil her as she so deserves. Because of her tiny size, we would prefer a home without little children please. Elka has been vaccinated, dewormed, microchipped, heart worm tested negative and spayed. Meet JULIETTE! She is looking for her Romeo! Foster mom tells us she is housetrained, good with kids, loves to snuggle and burrows under the blankets! She is very friendly, playful and walks well on the leash. She gives the BEST kisses! Such a sweet girl! Juliette can be a bit picky with her canine friends, some she liked in her foster home, and some she didn't! She seems to do better with dogs her own size or smaller! Well we can all relate to that - some people we like and some we are not so keen on! If you would like to be her Romeo put in your application to meet sweet Juliette now! Juliette is around 18 months old and weighs 17 lbs. Juliette has been vaccinated, dewormed, microchipped, heart worm tested negative and spayed. 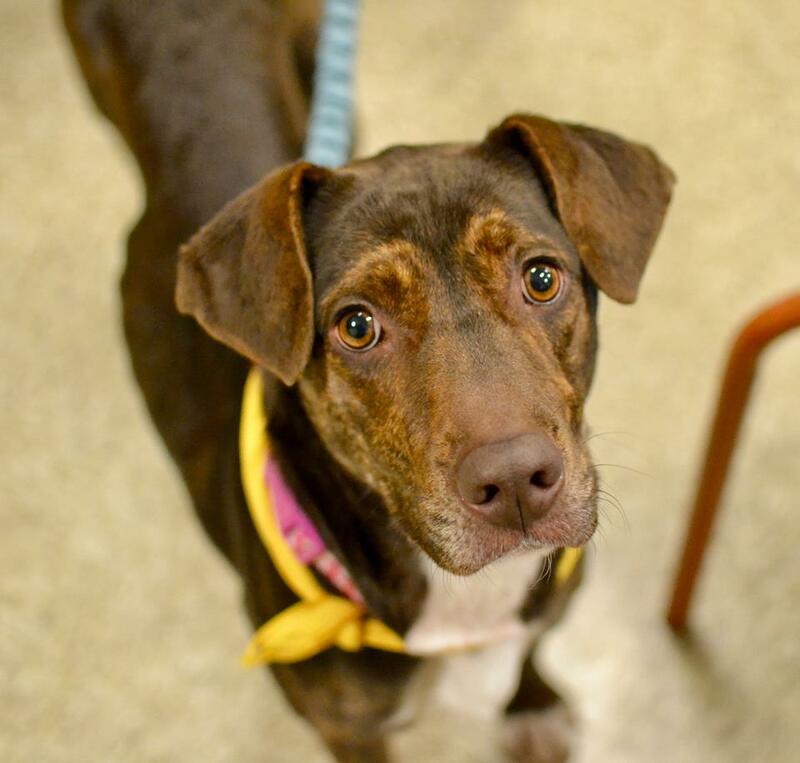 Pretty CINNAMON looks out the window and hopes her new family is on their way. Cinnamon had a family but unfortunately they said they could no longer keep her right before the holidays. A sad time for her to be looking for a new home. 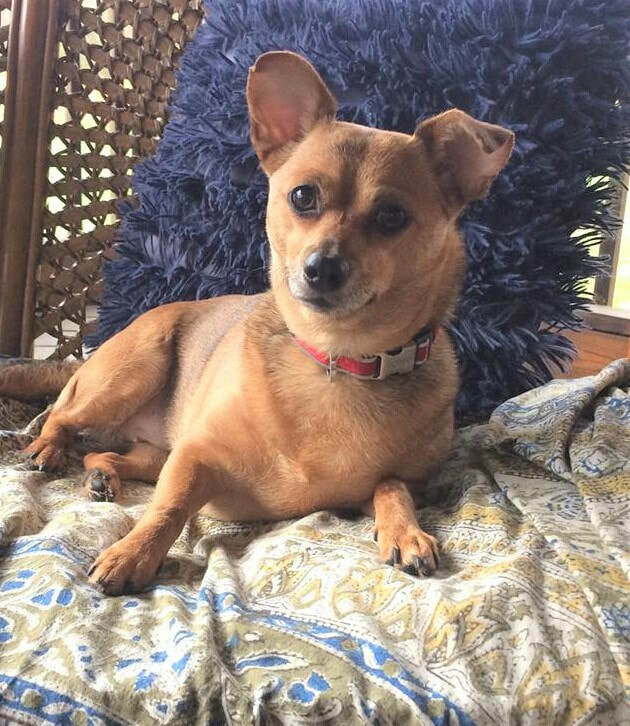 Her foster mom tells us: Cinnamon is a smart, and loving girl. She knows all her basic commands and is very obedient. She is also good in her crate and fully house trained. She can be a bit shy when meeting new people so her owner will need to be patient but once she warms up, she loves to snuggle and give you kisses! She loves to play with her doggie friends after proper introductions and a home with a confident playful dog might help Cinnamon gain confidence too! Cinnamon is young, around 18 months old and may be a little too playful for young kids. Cinnamon weighs about 35 pounds, has been vaccinated, dewormed, microchipped, heart worm tested negative and spayed. BALDWIN: What a handsome and sweet boy! To meet him, is to LOVE him! Baldwin's favorite things to do? Well chasing after sticks, balls or a frisbee for starters! He is an active lad and is looking to join a family that likes to be active too. He walks very well on a leash and loves to ride in the car so he is a perfect boy to accompany you on hikes or outdoor adventures! He already knows several commands and likes to show off his repertoire! Baldwin has been living in a home with cats and though he sometimes wants to play with them, he never tries to harm them. Baldwin loves to be pet and really enjoys belly rubs too! His lovely thick coat is just right for snuggling and he enjoys when you take time to brush him! 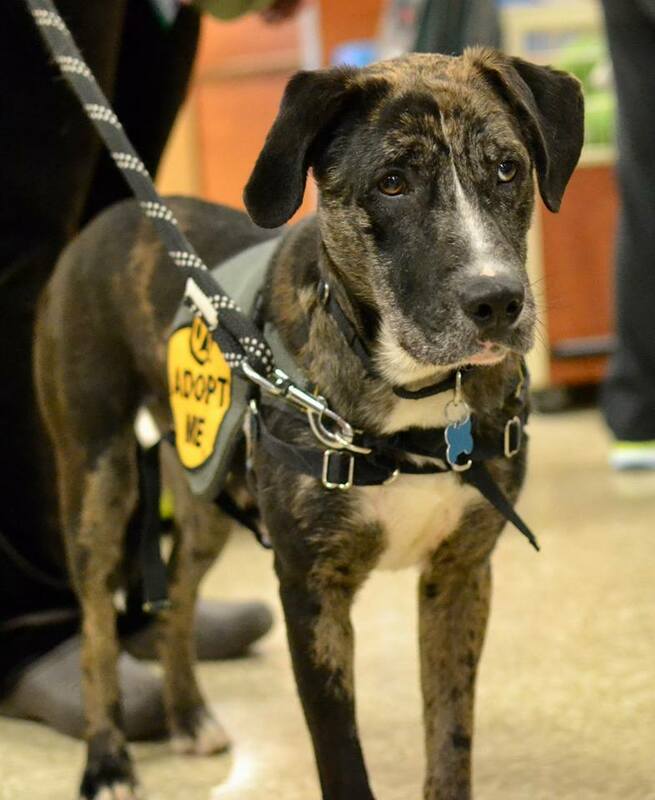 So why is Baldwin still looking for his forever family? Well Baldwin likes to be top dog and once he feels comfortable, thinks it's his job to be protective of his people. We have had him evaluated by a trainer and his advice is that he needs an owner that can be a strong pack leader. Our trainer tells us - He is low on the level of bossy behavior and issues. But he needs to know he is the low man on the totem pole. And an owner that Baldwin will respect and who will provide structure and boundaries . Baldwin is one smart dog and needs rules in place. Baldwin is a sweet boy and we all love him and want to see him settled in his new home. Baldwin is a big boy and weighs close to 75 lbs: A family with older children please. We think he is around 2 years old. Baldwin has been vaccinated, dewormed, microchipped, heart worm tested negative and neutered. We are asking for an adoption donation of $380 to help with the costs involved with caring for our rescue pets. PEPPER POTS was surrendered to Animal Control with several other dogs as her owner had too many pets to properly care for. Pepper Pots is a dog who needs other dogs around to create security. She lived a long while with dogs who were her friends and company and humans who were primarily just her source of food. She’s been working on leash walking, but still isn’t a fan, so a securely fenced yard is best. Pepper Pots hasn’t a mean bone in her body- she just takes her time to build trust in humans. While she isn’t your typical family dog, she would be a good dog for someone who can take the time to let her decide she wants to let you in. She is so adorable and has shortie little legs! Pepper Pots is a young adult, around 2 years and weighing 25 - 30 lbs. Pepper Pots has been vaccinated, dewormed, microchipped, heart worm tested negative and spayed. Please be sure to check out our COMING SOON page. We rescue dogs every week and transport to NY every two weeks so we have more dogs in our rescue than are listed here. Applications are good for a whole year so even if you don't see your new furry friend now, go ahead and get your application approved. Many times people wait until they see a dog listed and by then there could be approved applicants ahead of you already. KEIRA is ADOPTED! Sweet beyond words, loving, gentle and very well behaved. Keira is just one of those dogs that loves everyone she meets and if you are out walking, she will want to stop and say hi to everyone. She give little kisses, sits nicely and gives her paw, and rolls over for belly rubs. She is so pretty too with her border collie soft coat. Keira found herself turned into the shelter as her owner said she was just not getting along with the other dog in the home. Keira has been in a foster home with several other dogs and has shown no aggression but she obviously likes all the attention to herself and for this reason we would prefer she go to a home with no other dogs. She would also be happier in a no cat home. She is very curious about them and finds it hard to settle when they are around. Apart from no dogs or cats, Keira is perfect! Quiet, housetrained, walks nicely on a leash, doesn't get into stuff or chew anything that's not hers - loves bones and kongs filled with peanut butter. Can be left loose in the house though foster mom did crate her when she wasn't home just because of the cats. Keira is not interested in toys or chasing a frisbee, not going to be a candidate for the dog park - she's more of a couch potato border collie and does like to make herself comfortable on your couch! If you think Keira would be a good fit for your family, please put in your application so you can be approved to meet her! ​Keira is around 5 years old and weighs 40 lbs. Keira has been vaccinated, dewormed, microchipped, heart worm tested negative and spayed. We are asking for an adoption donation of $380 to help with the costs involved with caring for our rescue pets. SNOOPY! ADOPTED What a happy chappie! He loves being petted - just be prepared for him to kiss you to pieces with all the love he has. He is beyond adorable! He was not bothered by a visit to the shelter - just thought it was another opportunity to make friends! Check out his adorable coloring and shortie little legs. We think Snoopy is around 3 - 4 years old and he weighs in the region of 30 lbs. Snoopy has been vaccinated, dewormed, microchipped, heart worm tested negative and neutered. RUFNER ADOPTED is a champion snuggler! He loves a lap to sit on but also loves to snuggle with his doggie buddies too! He is on the submissive side, a tad shy but very sweet and affectionate. His foster mom tells us he is house and crate trained and a perfect houseguest. 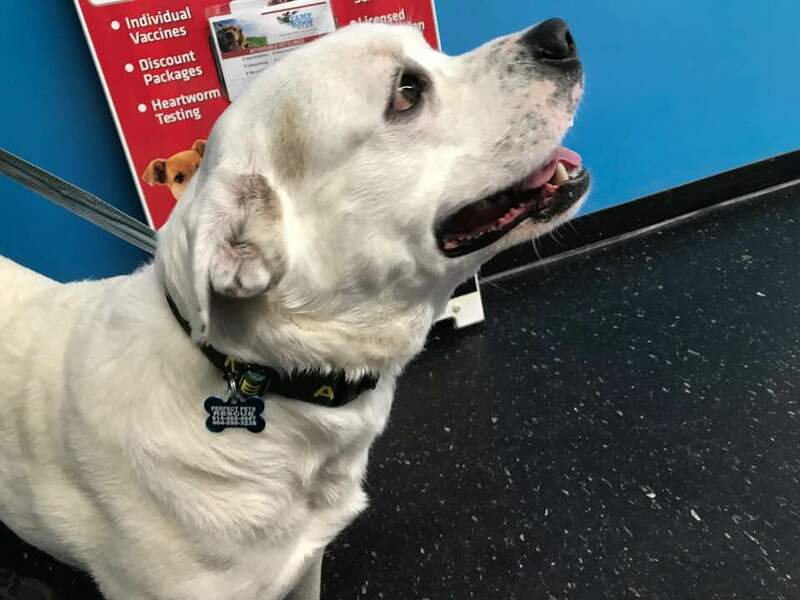 Rufner unfortunately tested positive for heart worms - his previous owner never kept him on monthly heart worm prevention and so he had to go through the painful heart worm treatment. He was picked up as a stray and so we are glad he left home so we can find him a wonderful new family that will spoil him as he so deserves. Rufner is around 4 years old and weighs 17 lbs. Rufner has been vaccinated, dewormed, microchipped, heart worm tested/treated and neutered. KAHLUA- ADOPTED This stunningly handsome guy would make a great dog for someone looking for a playful, friendly, always ready to explore kind of pup. Unfortunately his owners did not appreciate what a lovely boy he is and decided not to take him when they moved. He's young and would love a fun family that will play with him and take him on adventures. He will need some guidance on puppy manners -He is super smart and eager to learn some tricks. Kahlua is around 6 months old and weighs 42 lbs so we could expect him to grow some more! Kahlua has been vaccinated, dewormed, microchipped, heart worm tested negative and neutered. PEARL - ADOPTED is just DARLING! Such a sweetie and that smiley face! - You find yourself smiling back! ❤ How could you be grumpy with her around to brighten up your day! She is playful, incredibly smart and eager to have a family of her own to love and smile with! She walks well on a leash, is gentle, and sits nicely to be pet. Very friendly girl. Pearl's previous owner let her roam as they had no fenced yard. She would visit with neighbors but it wasn't safe for her to be out and about on her own. Animal control picked her up twice and the owners decided to surrender her in the hopes she would find a better home. Pearl may have some Great Pyrenees in her - she does have double dewclaws. Pearl is a chunky 65 lbs . We think she is around 2 - 3 yrs old. ​Pearl has been vaccinated, dewormed, microchipped, heart worm tested negative and spayed. ​MARIO & LUIGI ADOPTED are two adorable guys that found themselves surrendered to Animal Control as their owner had too many animals and couldn't afford to get them vetted. They are pretty much identical to look at - twins! Mario is adopted but Luigi is available. This is what his foster mom tells us: Luigi is pretty awesome. Loves other dogs, loves all people, loves food, good in the car, needs work with cats but is improving. Velcro boy who is crate trained, Happy all the time! Mario and Luigi are around 6 months old and weigh 14 lbs. They probably will grow a little bigger. Mario and Luigi have been vaccinated, dewormed, microchipped and neutered. KIMBER - ADOPTED is a sweet and gentle young lady. She's very affectionate - sweeter than candy! She would love a forever home where she has plenty of opportunities to be spoiled and be part of the family again. Kimber was sent to the pound when her owner got sick and wasn't able to care for her anymore and no family member was able to take her either. She's a very pretty girl - check out those eyebrows! When it's time to just chill, she will soak up all the belly rubs you can give - love her! ​ Unfortunately now she has arrived in a foster home, we have learned Kimber is way too interested in the kitties - a no cat home would be best for her! Kimber is a young adult around 3 years we think and weighs 45 lbs. ​Kimber has been vaccinated, dewormed, microchipped, heart worm tested negative and spayed. VIVVI - ADOPTED - Look at that worried look on poor Vivvi's face. No wonder as Vivvi has a sad past; she was seized by animal control when her ‘home’ was overrun with dogs and puppies (hoarding- around 100 dogs). That sort of life leaves you with scars, but we believe there is a perfect home for her and she deserves love. She's sweet and so wants to be loved: Her foster mom tells us: Loves, LOVES other dogs. Little yappy dogs? Check. Big bully dogs? Check. Probably would like a cat as well. She licks my naughty chihuahua boy like it’s her puppy! She looks to them for reassurance. Another dog (s) in her new home is a must as well as a secure fenced in yard as Vivvi loves the company of other dogs and loves to play. She loves to collect toys too - probably never saw a toy until she came into our rescue. ​ A patient family that has time to work with her and help her adjust is what Vivi is looking for. Older kids that understand her needs would be fine, but not little ones - that would be too busy for her. We think Vivvi is around 2 years old and weighs in the region of 25 lbs. She’s about the size of a corgi, but her legs are more proportionate to her back. Vivvi has been vaccinated, dewormed, microchipped, heart worm tested negative and spayed. We are asking for an adoption donation of $380 to help with the costs involved with caring for our rescue pets. SOLDIER - ADOPTED This handsome lad is a total catch. His foster mom tells us: Soldier is house trained, loves children and enjoys sharing his home with other dogs and cats. Soldier is obedient and a couch potato in the house. Soldier is a dream, and will make a wonderful family pet. He’s not a noisy dog, despite his hound characteristics. He loves to sleep and doesn't make a peep in his crate. Soldier was picked up by animal control running loose on a highway - We don't know why he decided to leave home but maybe that hound nose led him astray! Probably a good thing as poor Soldier tested positive for heart worms so obviously his owner never took good care of him and didn't keep him on monthly heart worm prevention. Soldier has now been treated for his heart worms, been vaccinated, dewormed, microchipped, and neutered. ​Soldier is around 18 months old and weighs 50 lbs. BALI - ADOPTED! Here's a little lady who may be short in stature but is not short on personality! She's a social butterfly who easily makes human and dog friends! She has the most gorgeous eyes and those little legs make her even more adorable! Bali decided to go on an adventure and was nabbed by the dog catcher. A trip to the pound just meant more opportunities to make friends! The staff and volunteers all adored her! Bali weighs a chunky 43 lbs and is around 2 years old. Bali has been vaccinated, dewormed, microchipped, heart worm tested negative and spayed. MIRANDA! ADOPTED Miranda sure is beautiful! Her coat is very pretty with highlights of brown and grey. 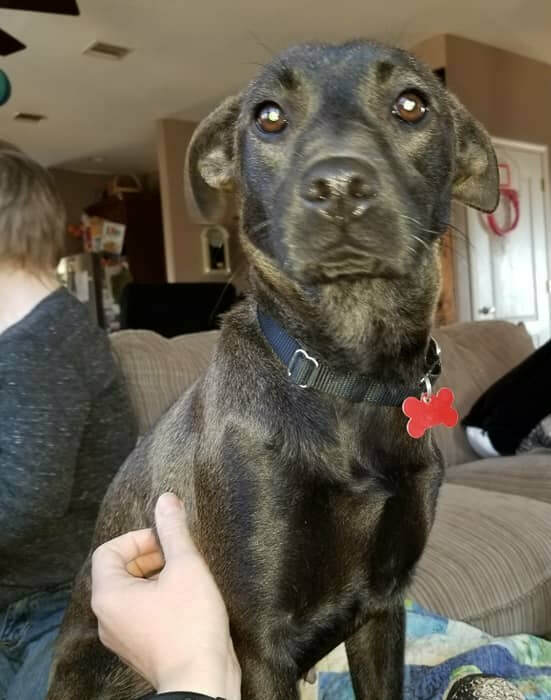 Miranda is as sweet as they come and her foster parents say she is fully house broken, loves to sleep in bed, and play with her foster siblings ! She gets along well with dogs from xs-xl and loves children! Her foster mom also tells us: Beautiful, sweet Miranda! She may be shy but she is the sweetest dog ever!!!! She gets so excited when my kids come home from school and she loves to give them all kisses after a long day away. Good with cats and dogs of all sizes, even bigger than her are no issue. I have been taking her for short car rides and she is getting better with each day. My husband is also working hard to get her to become more comfortable around men. All she needs is love and patience to help her overcome her fears, she's wonderful! Miranda is shy when you meet her. She is looking for someone who will understand that and will help her work on her confidence. Loud noises worry her and the vacuum is very scary! Miranda has been vaccinated, dewormed, microchipped, heart worm tested/treated and spayed. 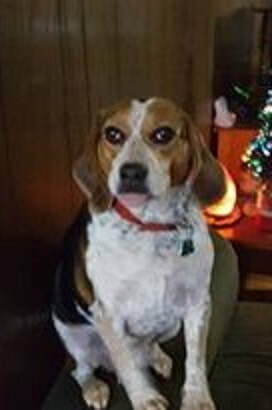 SHILOH - ADOPTED is your typical happy go lucky, tail wagging beagle/hound girl. Shiloh came to us with several other dogs after her owner was unable to care for them all anymore. She is certainly a couch potato, chill kind of dog, very content to just hang out with her people. She is on the chunky side and she could do with losing a few pounds. Loves her treats but it's carrots from now on for her! Shiloh has been vaccinated, dewormed, microchipped, heart worm tested negative and spayed. Shiloh qualifies for our senior adoption donation of $250. BEEBEE! ADOPTED If you’re looking for a medium energy girl who’s always up for an adventure just as much as she loves a chill evening at home this is the pup for you! BeeBee charmed everyone she met during her stay at the shelter - volunteers and staff just loved her! She is affectionate, playful and just a happy go lucky girl that we think would do well in any situation! She has a soft fluffy coat that is just right for snuggling on the couch with, but she's ready to go to the park the minute she sees the leash! BeeBee is around 3 - 4 years old and weighs in the region of 50 lbs. BeeBee has been vaccinated, dewormed, microchipped, heart worm tested negative and spayed. ANGEL - ADOPTED says "pretty please"? Won't you be my family? She is just precious, so sweet and loving. Foster mom tells us she is good with the other dogs, don't know about cats but she leaves chickens alone! Her little nubby tail wags and she loves to snuggle and be a lap dog. At 17 lbs she is a good size for that (although she probably has a little more growing to do). Angel already knows how to sit for treats and is quiet in her crate. Angel was dumped along with her siblings on a dirt road in Georgia. They were just around 8 weeks old, cold and hungry. A boxer rescue took the babies in as several of the puppies (including Angel) had nubby tails. Angel watched her siblings all get adopted but apparently she wasn't 'boxerish' enough and 4 months later she is still waiting. Angel has been transferred to our rescue as we know we can find her new family. Angel has been vaccinated, dewormed, microchipped, heart worm tested negative and spayed. DINAH ADOPTED Such a darling girl, Dinah is very friendly with everyone, playful with dogs and leaves kitties alone (though she really wishes they would play with her too)! She is quiet in her crate and is housetrained. She is young and playful - will steal a shoe or too if she can but she doesn't chew them! She loves to play with her toys. She's a hoot! Dinah came into the shelter after being hit by a car. She was limping and it was determined she needed surgery. Rescue was her only way out and so, of course, we had to help this sweetie. Surgery was successful and she is already using her leg and putting weight on it just a few days after surgery. She is gentle, takes treats nicely, has the softest fur and nuzzles into you to be pet. There are no restrictions on activity and potential adopters will have access to her vet notes of course. Dinah is young, around a year old and weighs 40 lbs. Dinah has been vaccinated, dewormed, microchipped, heart worm tested negative and spayed. Meet APHRODITE -ADOPTED Named after the goddess of love and beauty, it's easy to see how she got her name! She is so pretty with her fluffy coat and she is so loving too. Just adorable! Everyone that meets her remarks on what a sweet girl she is. Giving kisses is her favorite thing to do! She is happy and confident and has never met a stranger. She walks well on a leash and is good with cats and kids as well as other friendly dogs and is housetrained! We think she is such an easy, go with the flow, kind of girl that she would be perfect for a first time dog owner. Aphrodite is around a year old and weighs in the region of 30 - 35 lbs - She is a nice medium size! Aphrodite has been vaccinated, dewormed, microchipped, heart worm tested negative and spayed. JOYCE: ADOPTED She is sweet, cuddly and just darling! This little girl was a lost dog that someone found and brought to the shelter. Her owner didn't come to look for her and so we invited her to join PPR! Joyce is around a year old and weighs just 10 lbs. Joyce has been vaccinated, dewormed, microchipped, heart worm tested negative and spayed. SPANKY! ADOPTED What a cute little boy! We should have called him 'Batman' - he looks like he is wearing a mask! He is sweet and friendly and his foster mom says he is so little! He's a little unsure of my dogs as they are all bigger than him but is doing great with them. He is playful and loves to cuddle! Spanky was a lost dog that was picked up by the dog catcher running loose on a highway! No owner came to find him at the shelter and he was made available for adoption. Maybe a door was left often and he decided to go exploring and couldn't find his way home. Spanky weighs just 5 lbs and is young, around 6 months old. Though he does fine with respectful kids, it probably would be better for him to go to a family without small ones as he could easily get stepped on. Spanky has been vaccinated, dewormed, microchipped, heart worm tested negative and neutered. KEELEY: ADOPTED Oh she is one of the happiest pups you could ever hope to meet - even when we met her at the pound, she was loving on everyone she met, especially seemed to like the kids, and rolled over if she thought someone would give her belly rubs! Such a sweet girl! Her foster mom tells us: Ears up, ears down, ears back up! Super expressive little girl who only wants to please. Very loving and affectionate. Great on leash. Loves kids, dogs and toys. Does all her business outside. Soft, silky coat. Fast learner, already has sit and down mastered! She is playful and ready to join a fun family. She spent a couple of weeks at doggie daycare in Georgia and did fantastically there! Keeley is around 8 months old and weighs 38 lbs. Keeley has been vaccinated, dewormed, microchipped, heart worm tested negative and spayed. KIWI! ADOPTED Cute factor is off the charts with those ears and spots! Her foster mom tells us she is perfect! Absolutely wants to be with her person and is a wonderful snuggle bug! So sweet and calm and just wants to please. KIWI learns the house routine pretty quickly and loves to follow you around. You wont be lonely if you are the one lucky enough to bring Kiwi home! We think a quieter household without the hustle and bustle of little kids would suit Kiwi best. Kiwi's owner was moving and Kiwi wasn't invited - so sad. Kiwi is around 7 months old and weighs just 8 lbs. Kiwi has been vaccinated, dewormed, microchipped, heart worm tested negative and spayed. DUMBO! ADOPTED Named by the his foster 'sister'! This is what she says: "DUMBO follows me all around the house, he loves me and likes to play. I taught him how to do stairs and he’s very beautiful!" Dumbo would thrive in a home where he has children to enjoy, he’s very playful and loves playing hide and go seek. He loves children, other dogs of all sizes and cats. He’s doing well at house training and crate training too. We would love to find Dumbo a new kid to love! ​ Dumbo weighs in at a whopping 9lbs though he may grow a little more as he is around 8 months old. Dumbo has been vaccinated, dewormed, microchipped, heart worm tested negative and neutered. ​We are asking for an adoption donation of $380 to help with the costs involved with caring for our rescue pets. TUKI! ADOPTED Everyone who meets Tuki just falls completely in love: it is easy to see why! He is absolutely adorable! Tuki is friendly to every person and pet he meets too! He loves to be carried around and at just 9 lbs, he is the perfect size to do that! He will make a great companion for someone that wants a dog to take out and about with them! He's a champion snuggler too! We think Tuki is around 5 years old. Tuki has been vaccinated, dewormed, microchipped, heart worm tested negative and neutered. PATCHES: ADOPTED If you are looking for a well behaved, gentle and sweet boy, Patches is your guy! Patches is as sweet as they come, good with everyone, and one handsome dude! As a volunteer favorite at animal control he was even featured in the local paper as Pet of the Week! Everyone that meets him, just loves him. His foster mom says he is just perfect! He charms everyone he meets! He is a very social boy, makes friends with everyone! ​Patches is around 3 years old and weighs 48 lbs. Patches has been vaccinated, dewormed, microchipped, heart worm tested negative and neutered. We are asking for an adoption donation of $380 to help with the costs involved with caring for our rescue pets. WOODBURY - ADOPTED - Sweet little guy that has a cute little waggy tail that curls when it's not wagging! Unfortunately it's hard to capture on a photo as his tail wags as soon as he sees you! Could there be some pug in there? We don't know but Woodbury sure is adorable! He is a darling little fella that was picked up by the dog catcher and taken to the pound. No owner came to look for him so we invited him to join our rescue. Woodbury is young, about a year and weighs just 14 lbs. Woodbury has been vaccinated, dewormed, microchipped, heart worm tested negative and neutered. 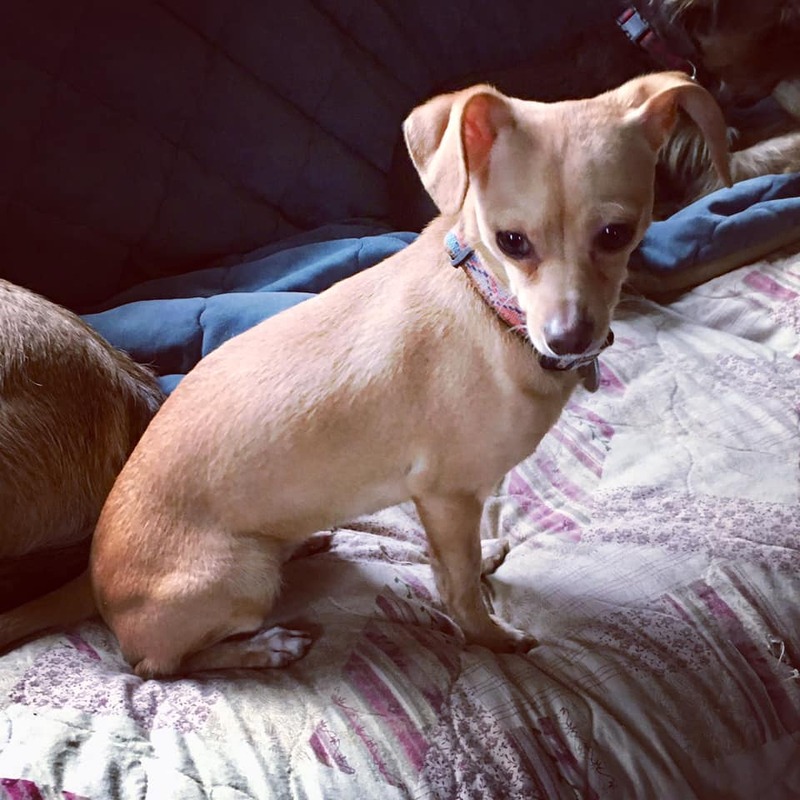 CORAL - ADOPTED - Another little Chihuahua in need! Coral is our latest recruit! She is so cute and loves to snuggle. Coral can be a tad on the shy side in new situations, but like many Chihuahuas, once she gets to know you she will be your best friend. Coral is around a year old and weighs 14 lbs. Coral has been vaccinated, dewormed, microchipped, heartworm tested negative and spayed. MINI ADOPTED is a darling little girl that is looking for a second chance! Look at that sweet face! She had a home but it wasn't a good one and she deserves so much better. Foster mom tells us: Mini is a gem! She is a wonderful houseguest, a perfect blend of couch potato and walking buddy! She is happy to do whatever is asked of her. She seems to know several commands, such as lie down, and stay - quiet in her crate, housetrained and a great lap warmer. She also ignores the cats who are dog friendly and try and cuddle with her! She takes treats very gently and loves to chew on a bone but she hasn't chewed anything that wasn't hers. She loves to sleep in bed with you at night! Mini was turned into the shelter by her owner who said she was getting divorced and couldn't keep her. Though it's sad when a dog loses its' home, for Mini it was the best thing. She hadn't received the best of care - she tested positive for heart worms and she also has a limp from a previous injury that never got vet attention. Xrays show an old injury - a break to the leg that has healed. We will find Mini a wonderful new home that will love and spoil her as she so deserves. Mini is around 3 years old and weighs 15 lbs. Mini has been vaccinated, dewormed, heartworm tested/treated, microchipped and spayed. His foster mom tells us: Parson is such a good boy! How no one has adopted him is beyond me. He’s calm, house broken, great with kids and all animals. All he wants to do is be with people and play fetch. He loves his football. Easiest dog ever! Unfortunately Parson's owner got sick and surrendered him to us along with several other dogs, knowing that we will find him a wonderful new family. He is absolutely gorgeous, very friendly, and such a happy, tail wagging boy! He is a great combination of chill and playful. He plays a great game of fetch, loves the water, and we were very impressed with how tolerant he is of the puppy he lived with who climbed all over him and wouldn't stop playing with him. We think Parson is around 8 years old and right now weighs in at 75 lbs. Parson has been vaccinated, dewormed, microchipped, heart worm tested negative and neutered. Parson qualifies for our senior adoption donation of $250. A urgent plea came from the shelter. An elderly man brought these two boys in: His wife passed and he was having trouble caring for them. Of course we answered and got them out of there. They are both incredibly sweet and loving. They don't have to be adopted together but obviously it would be great if someone is looking for a pair of dogs and takes them both. There will be a reduced adoption donation if you can offer the pair a home just ask. Chico is the darker guy and he has some hair loss which is being treated. Some good nutrition and love and he will soon be looking much better. Rico and Chico have been dewormed, microchipped, heartworm tested negative and neutered. We will be asking for an adoption donation of $380 each (or $500 the pair) to help with the costs associated with caring for our rescue pets. PARIS:ADOPTED This adorable girl is as charming as the city she is named after! At just 11 lbs, this sweet girl went wandering around the streets of Atlanta and was nabbed by the dog catcher! Goodness who lets their little one out on their own? Paris is gentle and loving and will make a great companion for some lucky new family. Paris is very generous with her kisses and loves nothing better than to be a lap dog! Check out that curly tail! Her foster mom tells us: Paris is beyond sweet! She is great with kids, cats and other dogs!!! Paris is around 2 years old. Paris has been vaccinated, dewormed, microchipped, heart worm tested negative and spayed. Meet WALLY, MARTY (males) and CORNELIA (female) ALL ADOPTED our 'Walmart' puppies! One of our volunteers saw them being given away in the Walmart parking lot in Cornelia, GA on the coldest night of the year. Yes it does get cold in Georgia and temperatures were below freezing. The owner had already given one away. They were very cold and lethargic but our volunteers were able to warm them up. Now a month later they are healthy and ready for adoption! We think they are around 8 - 10 weeks old and weigh in the region of 7 - 8 lbs. They have been spoiled in a loving foster home, good with other dogs, and, of course, very people friendly. If you are interested in adopting one of our puppies, please put in your application so you can be approved to meet them when they arrive. Our volunteers will want to know you have a plan in place for training and continued socialization. We have no information on the parents so your breed guess is as good as ours. Puppies have received age appropriate vaccinations (will need more), been dewormed, microchipped and spayed or neutered. We are asking for an adoption donation of $380 each pup to help with the costs involved with caring for our rescue pups. OLSEN - ADOPTED Just look at this handsome scruffy terrier mix! He certainly has the looks! My goodness, would you just LOOK at that scruff?! He is going to look even more stunning (if that is possible) after a trip to the groomers! He has a little nub tail too which just adds to his charm! He is a happy little guy - loves everyone he meets. He is playful and loves to collect toys. He was picked up by the dog catcher as he decided to go out on an adventure. He is looking for a new family that will spoil him so he will never think about leaving home again. Olsen is around 5 yrs old and weighs 15lbs. Olsen has been vaccinated, dewormed, microchipped, hw tested negative and neutered. We are asking for an adoption donation of $380 to help with the costs associated with caring for our animals. TEENA ADOPTED is another pup that needed rescue as she stood little chance of finding an adopter in an already over crowded animal control. The shelter told us she had likely been hit by a car and her jaw needed to be evaluated. We whisked her off the vet and after xrays it was determined it was actually an old injury that had healed and the vet didn't think it was causing any pain. She has a tooth that protrudes but her teeth were checked and everything was good there too. Teena was found as a stray and she does present as a tad nervous after all she has been through. Give her a minute or two and she soon comes around. She deserves only the very best from now on - obviously her first life was not the best. She would like a family to spoil her and treasure her as she so deserves. Teena is around 3 years old and weighs just 12 lbs. Teena has been vaccinated, dewormed, microchipped, heart worm tested negative and spayed. Sweet CAROLINE ADOPTED is beyond sweet and so adorable! How could anyone abandon her, we just can't understand! The shelter told us she was found tied to train tracks! Just unbelievable. She really is the sweetest dog, loves everyone, has been having a blast hanging out at doggie daycare with her friends. Are you singing 'Sweet Caroline' yet? Caroline is young, around 8 months old and weighs 35 lbs. Caroline has been vaccinated, dewormed, microchipped, heart worm tested negative and spayed. FIGARO ADOPTED This adorable little guy found himself at the pound! Can you imagine that someone was missing a precious pup like him and didn't come to the shelter to check if he was there? He might present as a tad shy to start but he is a total love bug, so sweet and friendly. Loves to snuggle. Figaro is around 2 years old and weighs just 14 lbs. Figaro has been vaccinated, dewormed, microchipped, heart worm tested negative and neutered. We are asking for an adoption donation of $380 to help with the costs involved with taking care of our rescue dogs. RILEY and OLIVER - ADOPTED are two small sweet boys who were surrendered to us when their owner unfortunately passed suddenly. They were loved and are sad to have lost their mom. They are doing well in their foster home and foster mom tells us they are good with other dogs, cats and children, housebroken and pee wee pad trained for those hart winter days. Both were therapy dogs and went to local nursing homes to love on the residents. Oliver is just nine years old but acts and looks like a pup. Riley, a seven-year-old who is so sweet and loving. They weigh 9 lbs each. We would like for them to be adopted together. Riley and Oliver have been vaccinated, dewormed, microchipped, heart worm tested negative and neutered. They have both visited the beauty parlor to be groomed. We would love to see these boys find a new home together and there is a special adoption donation of $500 for the pair. ROSA ADOPTED is a precious little girl that is looking for a special person with a big heart that would like to invite her home! You have probably wondered if Rosa is blind - yes she is! But you wouldn't know as she gets around just fine -- follows sound and will come to you when you click your fingers. Those big ears are put to good use! She came from a bad situation and her owner surrendered her to our rescue. She spent most of her time just living in a crate - but that has all changed now and she will live the rest of her life as someone's spoiled baby. 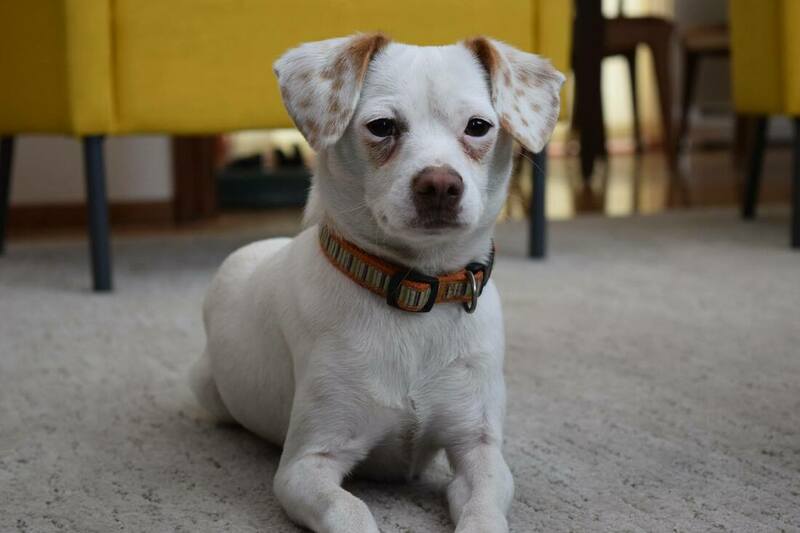 Rosa is living in a foster home with other small dogs and doing fine. At this time we don't know about bigger dogs. She runs around and finds a comfy spot to nap. She also likes the familiarity of her crate if the door is left open and she will burrow under the covers and make a little nest for herself. We think Rosa is around 5 years old (according to her previous owner) and weighs 10 lbs. Rosa has been vaccinated, dewormed, microchipped, heart worm tested negative and spayed. Food motivated, ready for training! Friendly, happy to see everyone (she was a hit in Agway yesterday). Loves to give kisses and wags her tail A LOT! Checks all the boxes don't you think! And she is so beautiful too! Look at that lovely colored coat, such unique markings and those sad eyes! You really have to meet her in person to appreciate how pretty she is! ​ She spent some time as a lost dog before being picked up by the dog catcher. She is ready to find a new home that will show her the good life, spoil her and erase that worried look! Karamel is only around a year old and ready to join a family that will include her on their activities, and teach her lots of tricks. She is playful and would love some toys too! Karamel weighs around 40 lbs so a nice medium size. Karamel has been vaccinated, dewormed, microchipped, heart worm tested negative and spayed. TOKS ADOPTED is too cute for words! This sweet pup has the most kissable face ever and a happy personality to match. He is a bright eyed, young , tail wagging, sweet boy! Loves to be held and will give you lots of kisses in return! He is looking for a new family to show him the good life with lots of toys to play with and a nice soft bed! Another little one that was out in the world on his own and found himself at doggie jail. Toks weighs 13 lbs and is around a year old. Toks has been vaccinated, dewormed, microchipped, heart worm tested negative and neutered. We are asking for an adoption donation of $380 to help with the costs involved with caring for our rescue pets. BEAR- ADOPTED is a sweetheart! A fluffy lap dog for cool winter days. His foster mom tells us he is easy going, loves to be pet. Housetrained and loves his crate but would rather be with you! Bear was surrendered to Animal Control along with Coco right before the holidays. Their owners were divorcing and neither could keep them! So sad but as they were terribly matted, it probably was a good thing that we can give them a better life. They also needed teeth cleaning. Coco and Bear are 12 years old (according to the owner). Bear weighs 13 lbs. Coco 9lbs. Bear has been vaccinated, dewormed, microchipped, heart worm tested negative, received dental and neutered. Bear qualifies for our 'grey muzzle' adoption donation of $250. GUNNER - ADOPTED is such a super sweet, tail wagging boy! Happy is really the best way to describe him! Adorable too of course! He is darling, well socialized, good with his doggie and human friends. Gunner was surrendered to our rescue along with several other dogs when his owner became unable to care for them. He obviously has been well loved and we will find him a new family that will continue to love and spoil him too. Gunner is around 5 years old and weighs 17 lbs. Gunner has been vaccinated, dewormed, microchipped, heart worm tested negative and neutered. KINSEY! ADOPTED Check out this adorable young lady! Her eyes sparkle as she waits to see what is next on the day's agenda! She is ready to do whatever you want to do! She loves to go for walks, play in the yard or snuggle on the couch! She is just happy to follow along! Kinsey came into the shelter as a lost dog. Unfortunately her owner didn't think to come and look for her there. She became just another black dog in an overcrowded shelter - one of many hoping for a second chance. She is very friendly, loving, and playful. She's a really fun girl and ready to be your BFF! Kinsey is around a year old and weighs in the region of 40 lbs. Kinsey has been vaccinated, dewormed, microchipped, heart worm tested negative and spayed. FURFACIOUS - ADOPTED Furfacious is sweet, initially a little shy, but soon warms up and is good with people and other friendly dogs. His foster mom tells us: Furfacious is quiet. He’s crate trained and paper trained. He’s obedient. Very low energy and chill. Happy to sit next to you on the couch. He’s still pretty itchy and hairless in spots. He’s a little shy but super cute! Furfacious came into animal control as a stray and missing hair. He is looking much better now but still needs to grow a little more. Furfacious would like a family that will spoil him with lots of love and some treats and toys would be perfect! Furfacious is around 6 years old and weighs 9 lbs. Furfacious has been vaccinated, dewormed, microchipped, had his teeth cleaned, heart worm tested negative and neutered. TEMPERANCE - ADOPTED presents on the shy side but once she gets to know you, she will be your best buddy. Her foster mom tells us: She is cute, young, funny, playful, affectionate. Loves to cuddle with you. Doing very well going potty outside with my training crew Bdog , Mo and Skye showing her the ropes. Want to go for a walk? she is up for it! Wonder what to feed her? She will eat anything not a picky eater. Want a dog who plays fetch - she is your girl - she loves it and loves tug of war also. Not a big barker , barks at birds so far and that's about it. She is afraid of BIG DOG BARKS she runs in the house when my neighbors lab starts barking - so she is a bit of a chicken. She will steal your heart in no time. Older children only for Temperance's new home please. Temperance is around a year old and weighs just 11 lbs. Temperance has been vaccinated, dewormed, microchipped, heart worm tested and spayed. MOANA -ADOPTED foster family tells us: Moana is such a happy young lady! She also has the sweetest face! We agree! This precious girl was another lost dog that found herself in an overcrowded Animal Control. Her waggy tail and friendly demeanor caught our attention and we offered her a place in the rescue! She is getting on great with the dogs in her foster home, absolutely loves to play with toys - will get one out of the toy basket, play with it, then exchange it for another - a toy connoisseur for sure. She is young and will need a family that will continue her training - foster family says she is super smart and learns very quickly! Moana is around a year old and weighs 40 lbs. Moana has been vaccinated, dewormed, microchipped, heart worm tested negative and spayed! We are asking an adoption donation of $380 to help with the costs involved with caring for our rescue pets. MAX: ADOPTED This boy is just stunning! He turns heads wherever he goes! Max has been enjoying life in his foster home and is now ready to find his new family! Unfortunately he tested positive for heart worms and we had to get him treated. That was no fun for poor Max as he was then put on strict crate rest. He lives with several other dogs in his foster home, cats too but he can be pushy with them just so you know. He is potty and crate trained - knows how to sit, leave it and go kennel! He is very food motivated and would love to learn more! He's a fast learner and willing to please! His new owner needs to be familiar with the breed - an active lifestyle would suit him. His foster mom says he does have a nice off switch but does need exercise. He would make an awesome hiking buddy. Max has been vaccinated, dewormed, microchipped, heart worm tested/treated and neutered. SPARKLE:ADOPTED If you are looking for a new friend to keep you company, look no further. Sparkle would love to fill that empty spot in your heart! She has mountains of love to give! Sparkle loves everyone she meets! Good with other dogs and cats too! She is so pretty with her black wavy coat sprinkled in with patches of brindle! She seems to have had some training, certainly knows sit. Sparkle was abandoned by her previous owners when they moved and left her behind. She was on the skinny side at 34 lbs so it's just as well she now has a chance at a new life. SPARKLE is looking for a family that will spoil her, teach her lots of new things, and love her forever! She has been receiving extra food and is now around 35 lbs and is approximately 18 months old. Sparkle is around 18 m old and weighs 36 lbs. Sparkle has been dewormed, microchipped, heart worm tested negative and spayed. JESSE:ADOPTED Attention hound lovers! Who can resist those sad puppy dog eyes! Jesse's foster family tells us: We can’t say enough wonderful things about this tall, dark and handsome man! Jesse is great with other dogs, cats and children. He’s house trained and loves squeaky toys. He walks well on a leash and is playful but enjoys lounging the most. This social guy would be a great addition to any home! Jesse is around 3 years old and weighs in the region of 60 lbs. Jesse has been vaccinated, dewormed, heart worm tested negative and neutered. INDIE - ADOPTED - This adorable scruffy pup was surrendered to us when her owners were no longer able to care for her. She lived with several other dogs, was well socialized and loved. She is sweet, a typical curious little girl and she is looking for a new family that will continue to spoil her and shower her with love. She is social, has plenty of puppy energy and would love to be included on family activities. Indie is around 6 months old and weighs in the region of 15 lbs. Indie has been vaccinated, dewormed, microchipped, heart worm tested negative and spayed. CARLETTA! ADOPTED She is sweet, friendly, and so cuddly! We imagine she would be a perfect Netflix buddy and a wonderful snuggly bedwarmer for those cold nights. Her foster mom says: Carletta: happy, filled with love, wanting to please, playful, a jumping acrobat lol, loves to give kisses, happy in her crate, cuddly. When she cuddles she sometime gazes into your eyes and gives hugs . She is very smart as she seems to have learned the basics of potty training in one day! She gets along with our other foster, our dog and cat. All four of them form a cuddle puddle! Carletta spent several weeks in a small kennel at Animal Control. It seemed no one noticed her as she sat so nicely just watching people pass by. Luckily we noticed her and got her out of there! Carletta is around 2 years old and weighs 42 lbs - a nice medium size! Carletta has been vaccinated, dewormed, microchipped, heart worm tested negative and spayed. We are asking for an adoption donation of $380 to help with the costs involved with taking care of our rescue pets. ADA - ADOPTED! 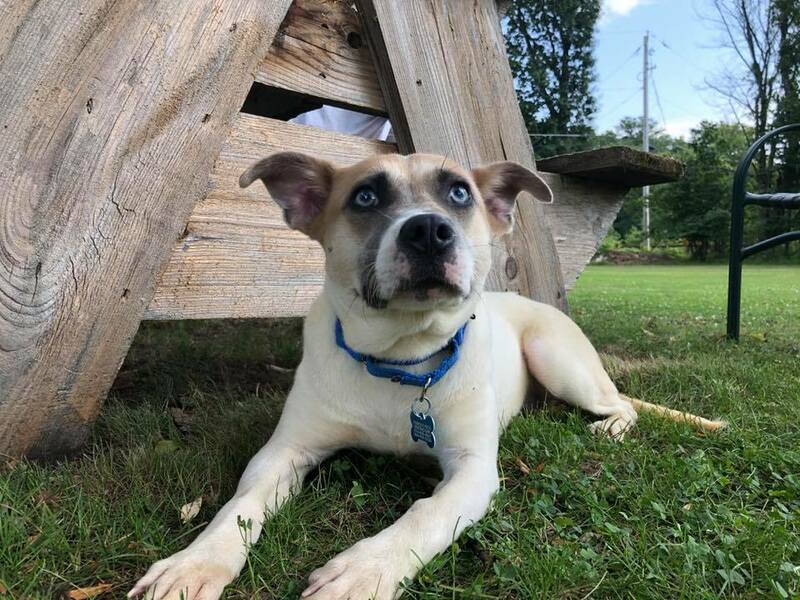 If you need a friend to cure the winter blues, a pal to take on adventures to the park, or someone to lay around and watch tv with, then ADA is your girl! She loves to snuggle! Ada is a cutie - a real mystery mutt though as goodness knows what went into her creation. Just adorable. She is very sweet, friendly, good with other dogs and loves kids. She knows sit and takes treats nicely! Ada's owner surrendered her to the shelter and said she didn't have time for her. So sad. She deserves better. Ada is around a year old and weighs 35 lbs. Ada has been vaccinated, dewormed, microchipped, heart worm tested negative and spayed. We are asking for an adoption donation of $380 to help with the costs involved with caring for our rescue pets. TINY TIM: ADOPTED Well he may be tiny but look at those (big) ears! This adorable pup gives the best cuddles and is a champion snuggler according to his foster mom. She says he is playful but very affectionate. A great houseguest and always ready to lie around and watch Netflix with you. He loves to snuggle and play with his doggie friend in his foster home so would be perfect if you have a dog looking for a friend. Unfortunately this young pup was picked up as a stray and at a young age of about a year tested positive for heart worms. Of course, we got him treated and are glad that he decide to pack his bags and leave his home as now we can find him a wonderful new family that will love and spoil him! Tiny Tim weighs just 15 lbs. 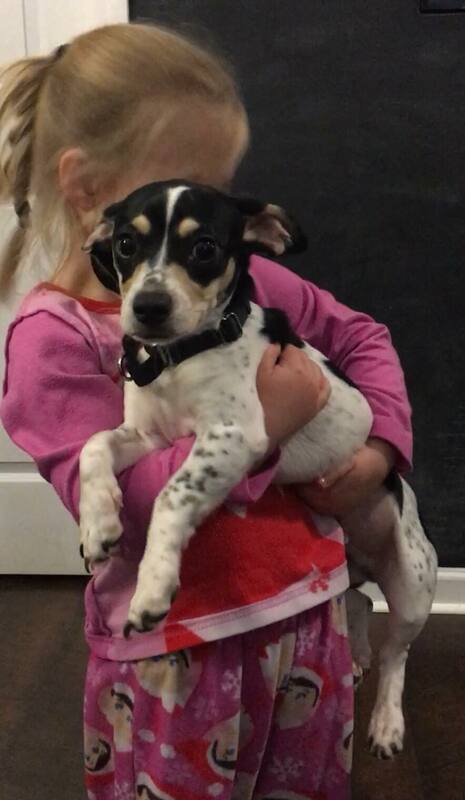 Tiny Tim has been vaccinated, dewormed, microchipped, heart worm tested/treated and neutered. We are asking for an adoption donation of $380 to help with the costs involved with caring for our rescue pets. DITTO! ADOPTED He is an adorable little chap, happy, friendly and CUTE! He is a silly little pup that has stolen the hearts of everyone that meets him. He certainly knows how to turn on the charm! His foster mom tells us: Ditto has such a sweet personality with everyone he meets! From cats and kittens to dogs much bigger than him, and of course he loves little kids too! He is house trained, actually enjoys having his sweater put on, and loves to snuggle. ​We know Ditto won't be homeless for long - Who will be the lucky family that gets to take him home! Ditto is young and has plenty of energy though once he has had a play session, he's ready for snuggle time. Ditto is around 18 months old and weighs 10 lbs. Ditto has been vaccinated, dewormed, microchipped, heart worm tested negative and neutered. GURL! ADOPTED What a doll! This sweetie captured everyone's hearts during her stay at the shelter! She is so friendly and loving that you can't help but fall in love! 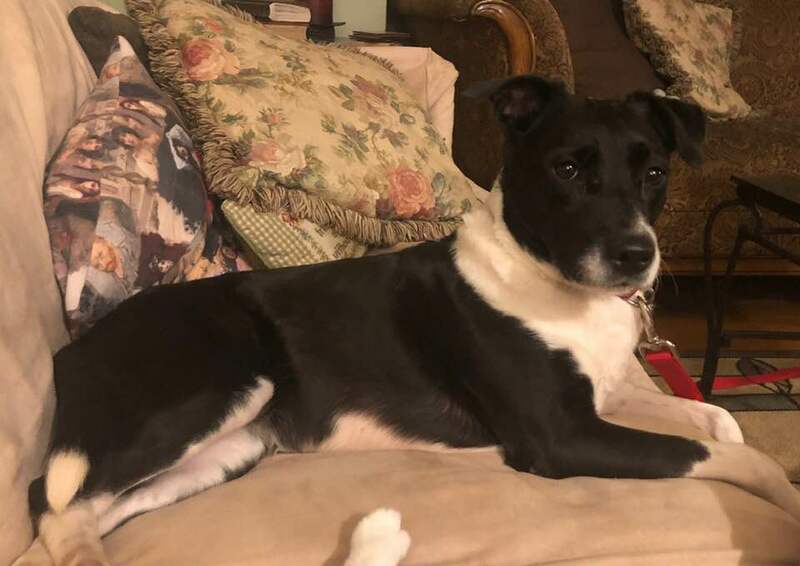 ​Her foster mom tells us: She is a sweet one...loves her toys santa brought, willing to play dress up, totally housebroken , whines little in crate at first but settles down , does chase the cat, knows fetch and release, loves belly rubs! Just needs a comfy couch and toy and she is happy "gurl"
Gurl is around 4 years old and weighs 45 lbs. Gurl has been vaccinated, dewormed, microchipped, heart worm tested negative and spayed. ​NELLIE ADOPTED is just gorgeous with her stunning brindle and white coat! Her eyes look right at you and you just can't help but want to just love on her! Reassure her that life will be good now. She is very very sweet and loving - likes to cuddle into you and give gentle little kisses. She came in to the shelter as a stray before Christmas and spent several weeks in a small kennel in the hallway as Animal Control had no open kennels for her. She spent the days quietly watching everyone passing by - she didn't bother to bark or try and get attention - just accepted her fate. We are so glad we noticed her and were able to save her. Nellie was already microchipped but owner had not updated the information and couldn't be contacted. Nellie is around 2 years old and weighs 47 lbs. Nellie has been vaccinated, dewormed, microchipped, heart worm tested negative and spayed. SANTO ADOPTED is looking for that Home Sweet Home experience. Unfortunately his 'home' recently burned down and Santo and his friends were left behind to shelter in the rubble as best they could. Neighbors brought them food. Santo is as sweet as can be but can present as a tad shy when you first meet him which is understandable. Give him a minute and then he is your best friend and snuggle buddy! He is young and soon his early life will be forgotten as he gets a new family to show him the good life! He shared his 'home' with several dogs of different sizes and cats too. He is looking forward to a nice comfy bed, good food and lots of love! Santo weighs 19 lbs and we think he is around a year old. Santo has been vaccinated, dewormed, microchipped, heart worm tested negative and neutered. ​SABRINA - ADOPTED Someone must be looking for their very own, super warm and velvety soft blanket- comes with face washer....Sabrina is super sweet and smart and the best kisser EVER! ​ super friendly, happy go lucky, typical labby girl! Loves everyone and has a tail that is in constant motion! Oh yes and very pretty too! Her foster mom tells us she is very food motivated which makes training a breeze. She is learning not to jump when she gets excited, loves kids and she plays a pretty good game of fetch with a tennis ball! Sabrina is ready to find a new family that will take time to teach her new things, and spoil her as she so deserves. We imagine she will love to accompany you on walks or hikes, maybe even swimming too when the weather gets warmer! Sabrina is young, maybe 2 - 3 years old so although she loves to chill and snuggle, she also needs to run and play too! She weighs 44 lbs. Sabrina has been vaccinated, dewormed, microchipped, heart worm tested/treated, and spayed. PANDA! ADOPTED She is sweet, loving and has the prettiest face. She is playful, good with other dogs and friendly. Her foster mom tell us: Panda is a little sweetheart. She's the perfect mix of playful and cuddly. She gets along with everyone and her little tail is always wagging! Loves baseball, tennis, soccer-basically anything that has to do with a ball! Loves pumpkin and peanut butter. Loves car rides. Housetrained 100%. Understands 'No' and 'Sit'. Playful sometimes; super chill other times. Likes adventure. Cuddler extraordinaire. A family would be very lucky to have her as she's an all around silly happy dog! ​Around 2 yrs and 34 lbs. Panda has been vaccinated, dewormed, microchipped, heart worm tested negative and spayed. ROXY- ADOPTED 's foster mom tells us she is super sweet and loving. Wants to be near her people, house and crate trained and is not a barker. She loves to sleep on the bed at night and burrows under the covers! She begs for food and treats (loves bananas) and has got a little chunky! She is very content to sit with you and loves to watch tv! Roxy really needed help to make it out of the shelter alive and she was lucky that a volunteer fell in love with her and offered to foster her! Roxy is a senior lady that hadn't had the best life. She was suffering with a URI, tested positive for heart worms, her teeth needed attention and she had never been spayed. Yes she certainly needed rescue! All that is taken care of now and Roxy is ready to find her new family! ​Roxy is a senior and qualifies for our grey muzzle senior adoption donation of $250. Roxy has been vaccinated, dewormed, microchipped, heart worm tested/treated, had a dental and spayed. This stunningly beautiful girl is DARLAH! ADOPTED She certainly turns heads wherever she goes! Her foster mom tells us: Are you looking for a loyal, devoted, loving companion who doesn't mind a quick game of frisbee?? Darlah is alert, affectionate, happy, and smart. She has completed basic obedience class. She knows sit, down, roll over and will give paw. She easily goes into her crate for a treat and sleeps great through night. She is house trained. She is a loyal companion, calm indoors, playful outdoors and loves toys. She can be bouncy when she gets excited. She loves to be near her people and in evening will rest near your chair or snuggle against you. She is playful with other dogs but maybe too playful for small dogs. Is currently enjoying her foster home with three other dogs and two kids. Darlah is around 18 months old and weighs in the region of 40 lbs. Darlah has been vaccinated, dewormed, microchipped, heart worm tested negative and spayed. MUNCHKIN - ADOPTED is just adorable! The shelter named him Munchkin after he was brought in by someone that found him running loose. His adorable little hound nose probably led him off in pursuit of something that smelled so good and then he couldn't find his way home. He is a happy guy, not at all bothered by a visit to the shelter. Tail wagging he greeted everyone he met politely. Munchkin is around a year old and weighs 27 lbs. Munchkin has been vaccinated, dewormed, microchipped, heart worm tested negative and neutered. KISSI! ADOPTED What a darling, happy young lady that is so pretty. Her foster family tells us she is "perfect"! Great with their dogs and kids - and the best snuggler ever! She loves to climb in your lap and cuddle! And as you can tell by her name, she's a kissy girl too! She is so beautiful with that pretty colored coat! She is looking to share her kissies with a family that will play with her, take her on adventures and teach her some cool tricks. KISSI is around 8 months old and already weighs 45 plus lbs and has some more growing to do of course! ​Kissi has been vaccinated, dewormed, microchipped, heart worm tested negative and spayed. We are asking for an adoption donation of $380 to help with the costs involved with caring for our rescue pets. NEMO: ADOPTED Hey, anybody looking for the best boy ever? Well we found him! Nemo is a happy go lucky young pup that is friendly and so sweet. This handsome guy loves to snuggle and will get in your lap for a cuddle if you let him! He gives very sweet kisses as he comes up to you hoping to be pet. Nemo was picked up by the dog catcher on Christmas Day and taken to the shelter. How sad is that! No owner came to look for him either, which is even more sad. We will find him a new home. He is such a good boy - friendly and looking for love. Nemo is around a year old and weighs 28 lbs though he is on the skinny side and could do with putting on a few pounds. Nemo has been vaccinated, dewormed, microchipped, heart worm tested negative and neutered. KEY LIME PIE! ADOPTED Did we get your attention? Yes it's a silly name but the shelter named him hoping it would get this cute little boy noticed in the sea of other pups looking for a home. We did and he is a PPR recruit now! And if you are the lucky family that gets to take him home, then you can give him a nice new name to go with his new life! Key Lime Pie is as sweet as pie of course - friendly and likes to be held. At only 9 lbs, he's the perfect size to be carried around! We think he is around 6 years old. Key Lime Pie has been vaccinated, dewormed, microchipped, heart worm tested negative and neutered. Meet TIGG ADOPTED His dashing good looks and his adorable Batman ears got him a sure invite to join PPR. Tigg is very sweet though like many little ones, presents himself as a little shy. He quickly warms up and will soon be best buds! He was picked up on New Year's eve as a lost dog - we are sure it was a scary time for him to be on his own. It was forecast to be raining on NYE and so many people were letting off fireworks in the days before so we are wondering if he got frightened and that's how he was lost. His foster mom says: What is the song - Every move you make - I’ll be watching you - that is Tigg. He is quite the cuddler too. Good with her dogs and seems to be housetrained too! Tigg has been vaccinated, dewormed, microchipped, heart worm negative and neutered. BABS ADOPTED is the cutest little girl - So pretty! She is sweet and friendly, loves her people, and a great houseguest according to her foster mom. Unfortunately Babs tested positive for heart worms and so we had to get them treated. Babs is around 5 years old and weighs 11 lbs. Babs has been vaccinated, dewormed, microchipped, heartworm tested/treated and spayed. ​ADOPTED If you are looking for a sweet companion, then you must meet Dutchess. Foster mom tells us she is great! Housetrained, good in the car and on a leash, fine with cats and other dogs, not a big barker. Totally into food so she is a little chunky. She is fine loose in the house when we go out. Knows sit and to stop what she is doing when told no. Very cuddly! She's going to be happy doing whatever you want -- walking, napping, snuggling, going to Starbucks! (She's a champion 'snuggler')! Dutchess was adopted from the shelter earlier in the year but the people had a change of circumstances and she found herself back there again. We think Dutchess is around 6 years old, and she weighs a chunky 35 lbs. Dutchess has been vaccinated, dewormed, microchipped, heart worm tested negative and spayed. SHORTSTACK! ADOPTED OMG this guy is so adorable! He has shortie little Basset Hound legs! His foster mom tells us: He is very sweet and loves everyone be it other animals (dogs and cats) and people. He has LOTS of energy so needs an active family and a fenced in yard with be perfect as he loves to run and play. Training classes would do wonders for him since he is a fast learner and older kids would be better for now. He is kennel trained and quiet in it all night. House trained when kept on a schedule and rides well in the car! He came into Animal Control as a stray so maybe that hound dog nose led him off on an adventure and he couldn't find his way back home? Shortstack is around 18 months old and weighs 38 lbs. Shortstack has been vaccinated, dewormed, microchipped, heart worm tested negative and neutered. Mr PEABODY! ADOPTED Cute puppy alert! This goofy boy wasn't feeling well when we met him at the shelter as you can see from his photo. He had an URI and was on meds. We will update his photo when he gets to his foster home and is feeling better. He is sweet and friendly, seems to be well socialized and he was very happy to carry around his tennis ball when we took him out of his kennel and to the play yard to evaluate him. Mr Peabody is around 7 months old and weighs 40 lbs. He still has some growing to do of course so could end up on the larger side. Mr Peabody has been vaccinated, dewormed, microchipped, heart worm tested negative and neutered. SCRUFF A LUV - ADOPTED may only be 10lbs but she runs and plays with the big dogs like she’s bigger than them! Foster mom tells us she’s a love bug who loves snuggling and hiding under blankets . House and crate trained and will bark to let you know when she’s ready to come in. She’s also okay with the leash now and likes car rides! Scruff a Luv was surrendered to Animal Control by her owner with Virtue. Another dog in the home would be good company. No young kids would be preferred. Scruff A Luv is around 3 years old and weighs 10 lbs. She has been vaccinated, dewormed, microchipped, heart worm tested negative and spayed. FRAGGLE! ADOPTED His foster mom tells us this adorable guy is "friendly to all"! This sweetie was picked up by animal Control running loose. He was very dirty and his coat was matted. They gave him a bath and tidied him up the best they could. We invited him to join our rescue and will find him a new family that will give him the love and attention that he needs. Fraggle has been vaccinated, dewormed, microchipped, heart worm tested negative and neutered. COCO - ADOPTED is playful and fun! His foster mom tells us he will follow you everywhere and loves to be carried anywhere you are going. You will need to help this little man up on the couch to watch tv as he thinks he is not able to jump! He is a love, gives great kisses and house trained. Coco was surrendered to Animal Control along with Bear right before the holidays. Their owners were divorcing and neither could keep them! So sad but as they were terribly matted, it probably was a good thing that we can give them a better life. They also needed teeth cleaning. They don't need to be adopted together. Coco and Bear have been vaccinated, dewormed, microchipped, heart worm tested negative, received dentals and neutered. They qualify for our 'grey muzzle' adoption donation of $250 each or $250 for the pair if adopted at the same time. MERI! ADOPTED There is one word that describes Meri perfectly! HAPPY! Her tail wags and wags when she sees you (or anyone actually) and she shares sweet kisses freely. Such a delightful personality! No shy wallflower is our Meri! Meri loves to go for walks and we almost think she has some hound in her, as her little nose is to the ground enjoying all the fresh scents. She is housetrained but is happy to use potty pads when it's raining or cold outside! She is playful and loves to chew so new family should have plenty of bones or bully sticks for her! She seems good with other dogs and has ignored the cats in her foster home (after a brief sniff)! ​Meri has had a sad first life - she was picked up as a stray in terrible shape. Horrible skin infections, hardly any fur and suffering with bad knees that made her walk 'funny'. Thank goodness PPR was able to rescue her and thanks to loving volunteers, Meri is now ready to take on the world. A couple of months later, infections are treated, she has hair and had surgery to treat the luxating patellas in both knees! Meri is a young adult, maybe 2 - 3 yrs and weighs 8 lbs. Meri has been vaccinated, dewormed, microchipped, heart worm tested negative and spayed. RAYNE: ADOPTED This boy is beyond handsome! Stunning, majestic, gorgeous are some of the words the volunteers used to describe him! He has a presence about him that just makes you stop and want to say hello! Of course, he loves that - he is very friendly and loving! Rayne is young and has plenty of energy but he also knows how to chill and will lie at your feet. A family that is active would suit him best and we would imagine he would love kids to romp with in the back yard. He seems to have had some training, knows a few commands. He loves to play with toys and is good with other dogs. Rayne is around 2 years old and weighs approx 60 lbs. Rayne has been vaccinated, dewormed, microchipped, heart worm tested negative and neutered. CHANTELLE! ADOPTED Look at those beautiful golden eyes! She has a sunny personality to go along with her good looks! She's a very sweet and friendly girl, ready to play with anyone that will throw a toy. We imagine she would love some kids to keep her busy! Chantelle was adopted from the shelter in September but was picked up as a stray running loose. Even though she was chipped, the owner couldn't be located. We will find her a family that will commit to being her forever home, give her lots of love and attention and teach her some tricks. She will never want to leave again! Chantelle has been vaccinated, dewormed, microchipped, heart worm tested negative and spayed. We are asking for an adoption donation of $380 to help with the costs involved with caring for our rescue pets. VIRTUE - ADOPTED is a darling pup. Such a worried look on her face though! She presents as a tad shy when you first meet her, but like a lot of small dogs they just need a little time for their true personalities to show! Virtue has been enjoying her stay in her foster home, doing great with other dogs, and snuggling with mom. In fact mom tells us she loves to bury under the covers when she's not on your lap. House trained too! Virtue was surrendered to Animal Control with Scruff a Luv - no reason was given. Another dog in the home would be good company for Virtue or, of course, you could adopt Scruff a Luv too! Ask about our special adoption donation when adopting both. No young kids would be preferred. ​Virtue is around 5 years old and weighs 9 lbs. Virtue has been vaccinated, dewormed, microchipped, heart worm tested negative and spayed. We are asking for an adoption donation of $380 to help with the costs involved with caring for rescue pets. MALEFICIENT - ADOPTED What a sweetheart! Well, the name isn’t accurate but that's what the shelter staff gave her. This girl is just beautiful, inside and out. 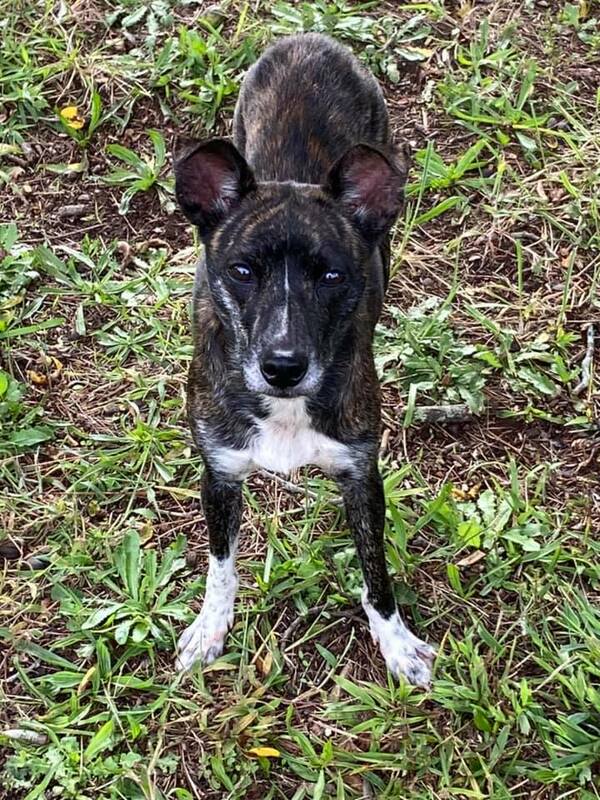 You have to meet her in person to appreciate her unique coloring - black and brindle and white! Photos just can't capture how gorgeous she is. Just a youngster, she wandered from home and couldn't find her way back. She is friendly, sweet and so adorable. Gives great kisses and loves to be pet. Maleficient is around 7 months old, and weighs approx 30 lbs. Maleficient has been vaccinated, dewormed, microchipped, heart worm tested negative and spayed. GRETAL ADOPTED is a happy, tail wagging sweetie! Look at that beautiful face and soulful eyes. Foster mom tells us: Gretal...very sweet excellent with kids and guests ( we had a lot of company this week). Loves snuggling, chewing on bones and getting loved. Great with other dogs. House and crate trained and knows sit. Bare;y barks. Btw... if she can find a family with a bean bag chair that would be a plus! Lol! She has plenty of kisses to share and she would like you to know that she loves belly rubs! Gretal is young, around a year old and weighs approx 42 lbs. Gretal has been vaccinated, dewormed, microchipped, heart worm tested negative and spayed. LULA - ADOPTED When we heard this sweet girl was next on the euthanasia list, we had to jump in and rescue her. She didn't deserve to die because her owner didn't want her anymore. "She kept getting out" was the reason. Well you can take from this what you will, but maybe Lula wasn't getting any attention at home and got bored being left on her own. Obviously she wasn't appreciated for the darling girl that she is and not loved or her owner would have not given her up? We will find her a new family that will include her on activities so she won't be lonely again. Her foster mom tells us she is a happy girl, friendly and good with her dogs. Very, very sweet and playful - loves to play with her toys. Lula is around 4 years old and weighs 42 lbs. Lula has been vaccinated, dewormed, microchipped, heart worm tested negative and spayed.